The Third Floor recently had the privilege of working with writer/director Guo Jingming in previsualizing nearly 60 minutes of the Le Vision Pictures epic new fantasy feature Legends of Ravaging Dynasties (L.O.R.D.). The project also reunited us with our friends at the CG production company Original Force (we’ve also prevised content for them on Asura and Need for Speed). L.O.R.D. 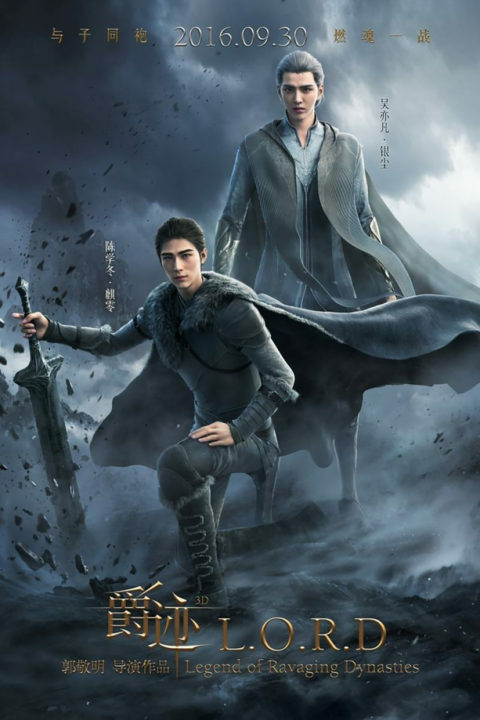 is the first Chinese production to be shot and produced entirely in CG using performance capture from an ensemble cast of some of China’s most popular actors. TTF worked closely with director of photography Randy Chen and Original Force on previs to help design and plan many of the film’s most complex and technically challenging high-energy action sequences and ensure that the director’s detailed creative vision could be accomplished. Legends of Ravaging Dynasties is released in US theaters today. This is TTF's third win for work on GoT.